Home / The Shrink-Rap Book Shop / Books for Adolescents and Adults / Lost in a Mind Field. Lost in a Mind Field. 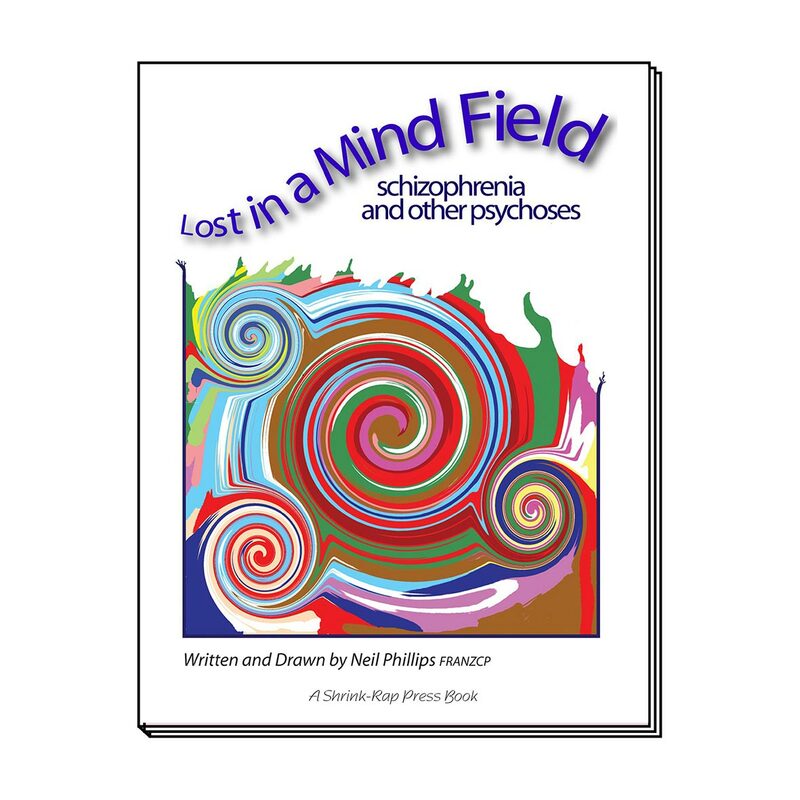 “Lost in a Mind Field” is about the experience of having a psychosis. While Schizophrenia is the main focus it addresses other causes of strange mental experiences. The cartoons make it easier to understand psychosis and that can lead to much better treatment and outcomes. Psychosis is one of the most frightening forms of mental illness. It hits you in your mind, the centre of who you are, and it profoundly disturbs relationships and makes coping with life difficult. Many illnesses can cause psychosis and other illnesses can cause changes in the way the brain works that can easily be mistaken for psychosis. “Lost in a Mind Field” sets out to make psychosis easier to understand. As with all the other Shrink-Rap books, it is written in a clear conversational way and almost every point is illustrated with a drawing or cartoon. Cartoons allow people with mental illness and their families to step back a little from their suffering and see that strange experiences can be explained, understood and constructively dealt with. 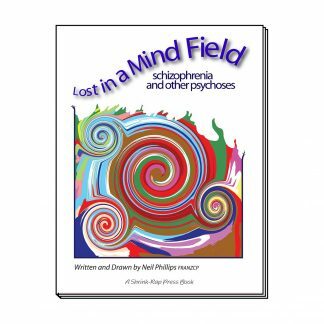 The book goes into considerable detail about what it is like to have schizophrenia and deals with other causes psychosis. Panic attacks often cause misery and generate phobias and even crippling agoraphobia. 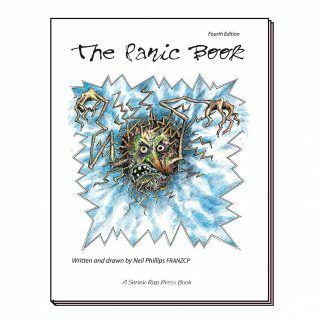 “The Panic Book” shows adults and older children the causes and effects of panic attacks and how they can be effectively controlled. Mood disorders, both low and high, are common and cause great suffering. 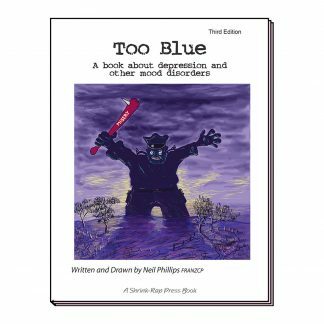 In “Too Blue” the text is straightforward but detailed and the explanations and cartoons bring the problems and solutions to life. A “special section” provides more detailed information about mood disorders. Too Blue. The Panic Book. © 2010 Shrink-Rap Press ( Australia ) Pty. Ltd., ABN 87 090 970 068. All rights reserved.